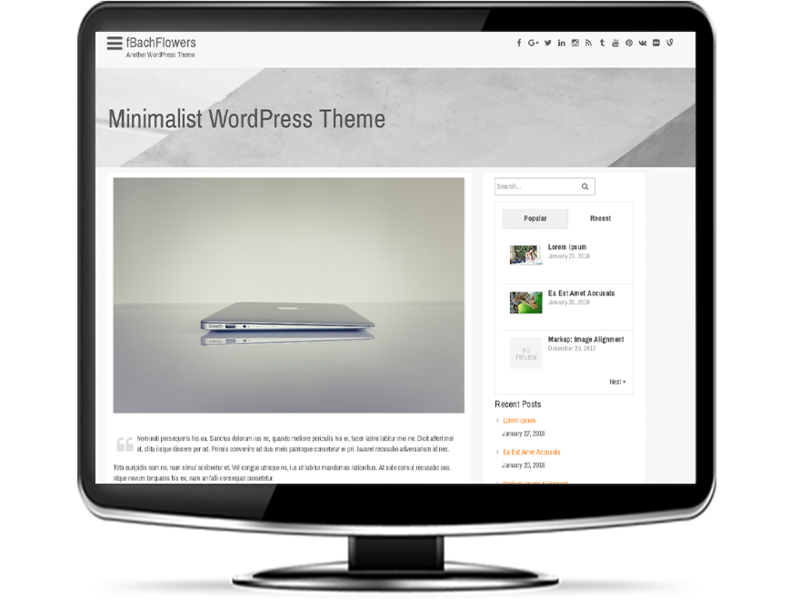 fBachFlowers is a Minimalist WordPress Theme. The clean and minimal design makes it suitable for any type of websites where the focus is on the content instead of design elements. Features: Fully Responsive Design, Mobile Menu, Header Logo and Text, Social Icons, 3 Footer Columns and Copyright text, Footer Menu, Background Color and Image, Full-Width Template, Instagram widget support, Tabs widget support, and Translation ready.